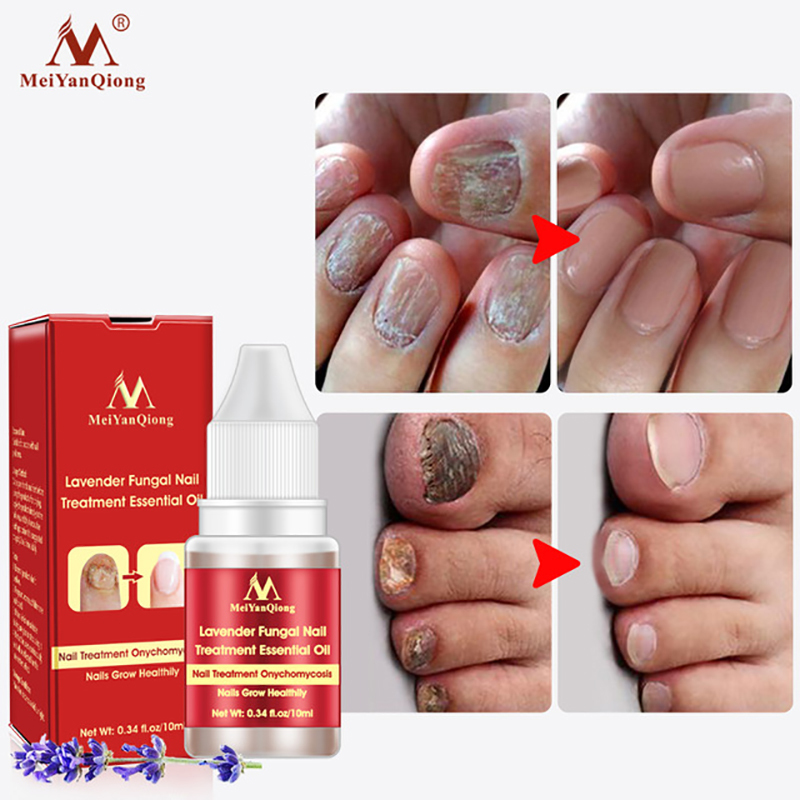 Lavender Fungal Nail Treatment Essential Oil Nail Art & Tools Promote Nails Grow Healthy Nail Treatment Onychomycosis Name: Lavender Fungal Nail Treatment Essential Oil	Slogan: Nail Treatment Onychomycosis Nails Grow Healthy	Net Wt: 0.34 fl.oz/10ml	Product Features: This product contains lavender extract, which can treat the onychomycosis caused by fungal infection, atrophy, unevenness, thickening, breaking, yellowing, shedding etc. Long-term use promotes the production of cellular proteins and strengthens the repair function of nails, so that the nails grow healthily. Scope of Use:Suitable for people with nail problems. Ingredients:LAVANDULA ，ANGUSTIFOLIA(LAVENDER)OIL，BUTYLENE GLYCOL, ARTEMISIS ARGYI LEAF EXTRACT,PHRYMA LEPTOSTACHYA EXTRACT,BORIC ACID,RHEUM OFFICINALE EXTRACT,SALVIA MILTIORRHIZA EXTRACT,PUERARIA LOBATA EXTRACT,PORTULACA OLERACEA EXTRACT,SOPHORA FLAVESCENS EXTRACT,SCROPHULARIA NINGPOENSIS EXTRACT	Usage Method:Wash your hands and feet before using the product，after drying, apply the product directly to the nail area, and dry it once after each application.It is suggested to apply 2 to 3 times daily.